Turn emails into to-dos, tune out distracting conversations, and more with these tips. A while back we looked at several hacks for getting more out of your Gmail account. But as with all of Google’s services, there are always more tricks and features to uncover. Here are five that will help you better manage your messages. Who hasn’t wanted to run screaming from their monitor after the 13th “Welcome aboard!” message to the new hire? Gmail provides a means to tune out distracting email conversations like these: muting. Muted conversations bypass your inbox and go straight to your archive. They only return to your inbox if a new message is addressed solely to you or you’re added to the “To” or “Cc” line in a new message. To silence the noise, select the conversation and click the More button above your messages, then select Mute. You can also use the keyboard shortcut M.
Most of us have multiple email accounts: your work address and at least one, if not several, personal ones. Instead of logging in to each account individually, you can send messages from any of them through Gmail. 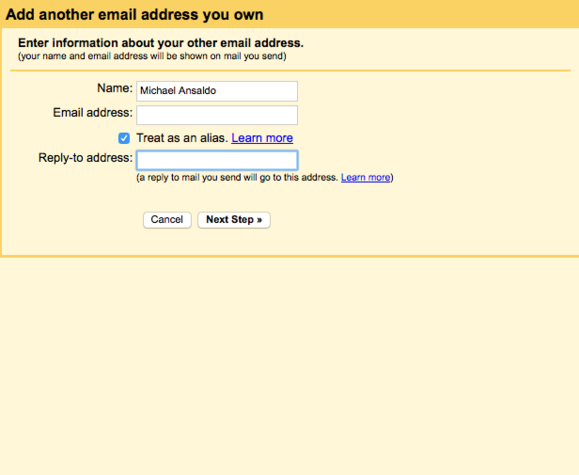 Gmail allows you to add other email aliases and accounts. You’ll first have to set up your alternate email addresses in Gmail. Google provides detailed steps for adding external addresses and domain and email aliases. Once they’re added, just click the From field when you’re composing, forwarding, or replying to an email. Then click the drop-down menu to the right of the field and select the address from which you want to send the message. There are dozens of third-party apps that let you turn email messages into action items. But you can do it with Gmail alone thanks to Google Tasks. Select Add to Tasks from the More menu to turn messages into action items. Open a message you want to add to your to-do list or just select the checkbox next to it in your inbox. Click More > Add to Tasks or press Shift + T. The item will be added to your task list in the lower-right corner of the Gmail window. Click on the task list to add a due date and notes, see related messages, or move it to another list. We all assume our most important Gmail messages will be there when we need them, but it’s best not to tempt fate. As with any other critical data, a backup is a must. Google lets you do it without the need for third-party software. You can download your entire Gmail data set or just select labels. Just go to Google’s data download page and scroll down to Gmail. Click the drop-down menu on the right to download all your mail or just particular labels. Messages are saved in the widely used .MBOX format, so you can easily port them to another email service as well. Many of us will never bump against Drive’s 15GB of free storage. For those who do, there’s an easy way to find the email attachments that are hogging the space. In Gmail’s search bar, type size:xm, but replace “x” with a number (“m” stands for megabytes). This will pull up all messages with file attachments over the size threshold you’ve designated. Save them to your local drive or external storage and delete them from your inbox to free some space.